Receive one if these lovely cluster. 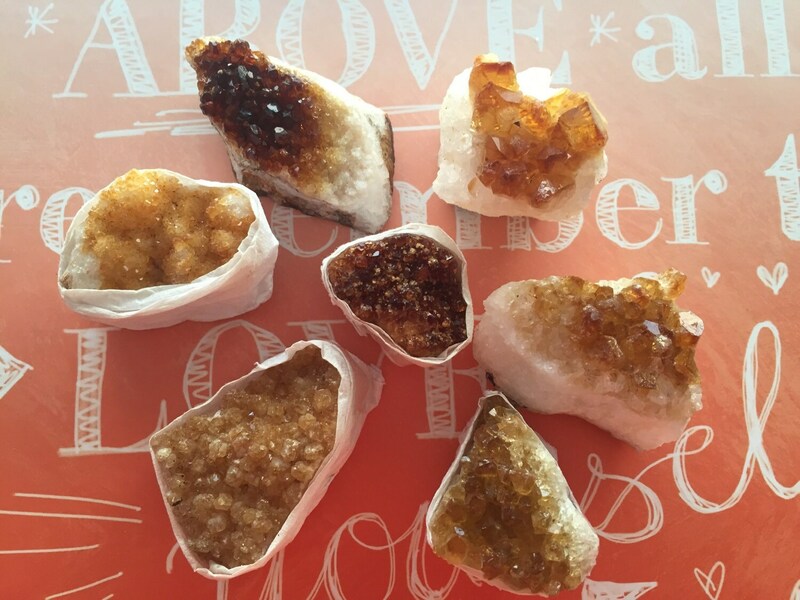 Citrine is unique because it is one of few stones that, rather than absorbing negative energy, clears it. It makes room for happiness and light so that the spirit is welcoming to a wide range of positive possibilities. Size: 2 - 3 X 2 inches OR LARGER!! Citrine: “Success Stone”, “Merchants Stone”; Citrine is a joyful stone with bright energy which lights up many aspects of lives of those who wear it. It has energies of good fortune and good luck, though these may appear in unexpected ways. It is said to promote and manifest success and abundance, particularly in business. Citrine is a solar plexus chakra stone used metaphysically to increase, magnify and clarify personal power and energy. This increased personal power can be used for the focused intent of the individual, as it brings will power as well.